I don’t want you to think of me as someone who’s dead. More of someone who is no longer a threat to your marriages. 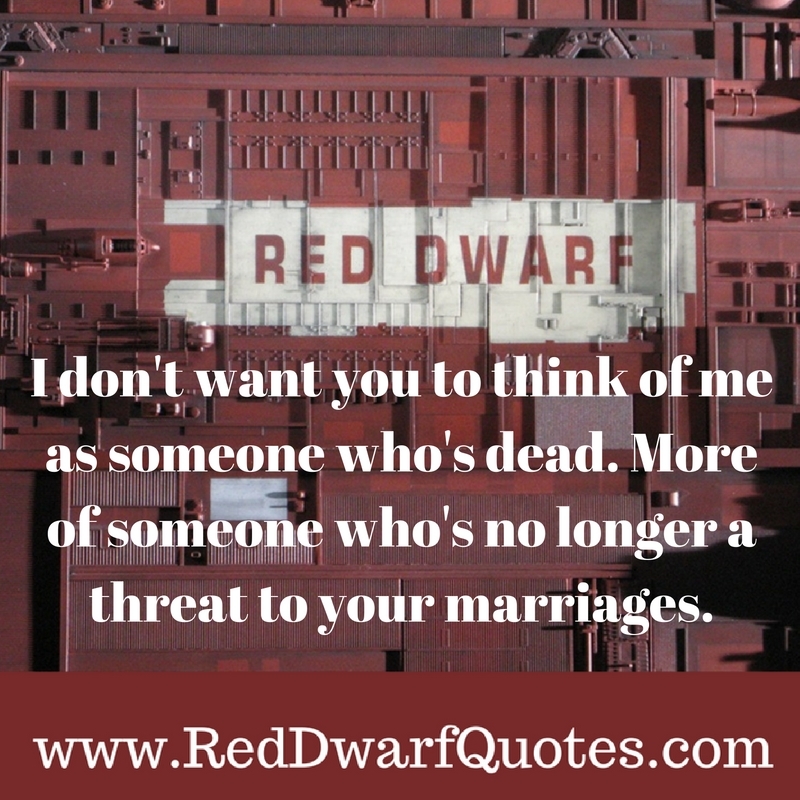 Classic Red Dwarf quote from the first episode. 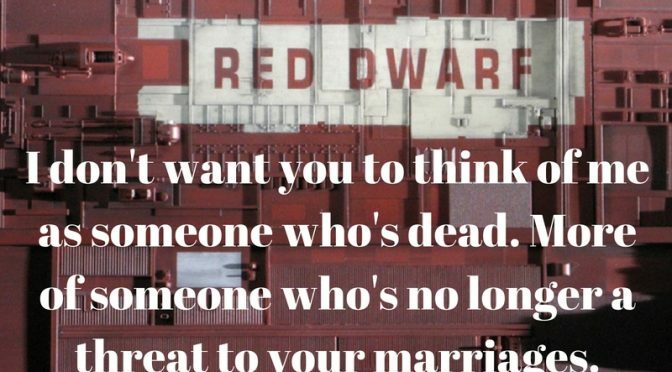 Check out the full script here – Red Dwarf The End Full Script.